The Pension Fund feels the effect of increasing the minimum wage and fines for illegal employment. Ukraine's Minister of Social Policy, Andriy Reva, explained on where Pension Fund took money to boost pensions, including the early increase in the minimum pension. Payments will grow for a total of 9.6 million of out of 12 million senior Ukrainians, the minister told the LB.ua on Monday, 9 October. "We have calculated the real value of goods and services in the so-called consumer basket, the living wage, and obtained the figure of 3,200 hryvnia a month. At that time the figure seemed fantastic, but the idea was supported by the State Fiscal Service, Ministry of Social Policy and, oddly enough, the Ministry of Finance," said Andriy Reva. "In parallel, we raised salaries by 50% to government workers. Also, we signed in August 2016, a general agreement with the trade unions and employers. The latter pledged to launch the mechanism of increase of salaries for non-government workers. As a result, Ukraine salary fund grew 37% in the first eight months of the year." The minister said that the ministry has expected that Pension Fund's revenues would grow by 142 bn hryvnya this year, and Cabinet subsidy to be at 141 bn. However, when wages began to grow, it became clear that the Pension Fund's revenues will be higher than the planned 20 - 25 bn hryvnya. "Here's where the money to increase pensions came from!" the minister explained. "Increasing the payroll by 38% (year on year, the figure for eight months was higher – ed.) at the economic growth of 2% seems mathematically impossible. It seems like money come out of nowhere. In the meantime, the IMF calculations do not take into account the factor of the shadow economy in Ukraine. This the only explanations of the origin of extra money in the budget: the came directly from the shadow economy. Moreover, the business paid its without a hitch, as the number of employed did not drop," said the minister. 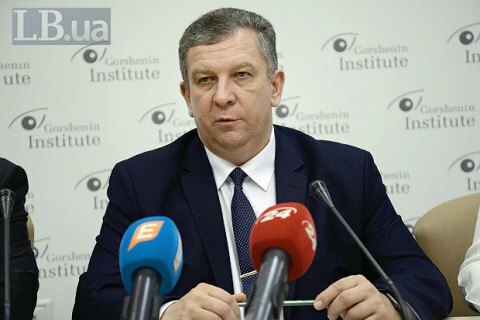 Last week, Gorshenin Institute hosted a round table with the participation of the Minister of Social Policy on the subject of pension reform.